In a sick, fateful twist of timing (really, is there any other? 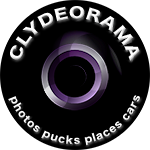 ), my fancy new camera arrived from a New York camera shop just a few days after the Washington Capitals 2011-12 season came to an end last week. After taking the initial mandatory cat photos I was looking around the family room for something to shoot using some fancy new features and I saw the bobblehead set on top of a bookcase. Since I won’t be taking any Capitals photos with this camera for a while, I figured, “Why not?” I think my wife laughed at me a little, but that’s okay. I think the result was worth it. 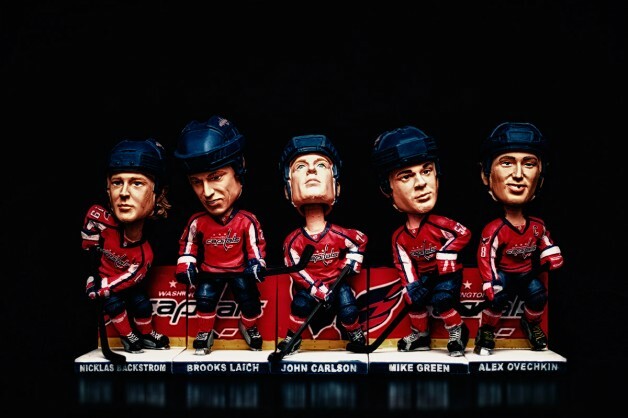 The bobbleheads pictured (Nicklas Backstrom, Brooks Laich, John Carlson, Mike Green, and Alex Ovechkin) are part of the gift the Washington Capitals gave their season ticket holders for the 2011-12 NHL season. Tomas Vokoun was also included in the set and would normally be standing to Backstrom’s right, but I left him out for two reasons. The photo didn’t look quite right with him there (I tried) and Vokoun is almost certainly not going to be back next year so the photo might have a longer shelf life without him. 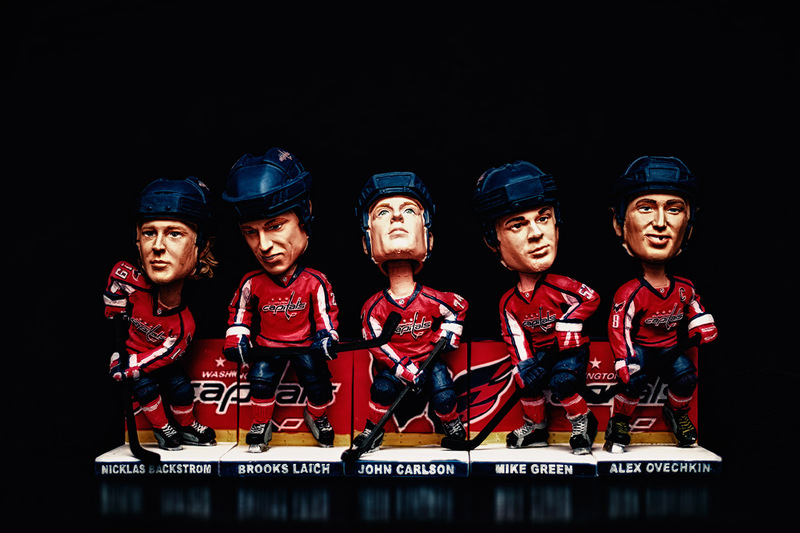 For more about the bobbleheads, watch the Capitals unboxing video.